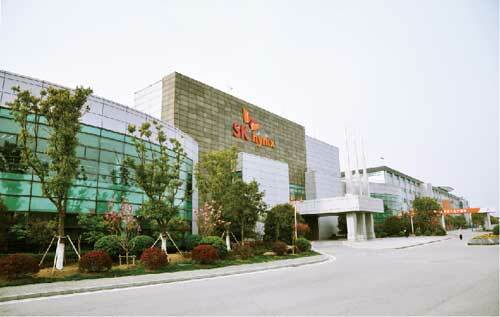 SK Hynix Semiconductor Company (China), located in Wuxi New District (WND), is an overseas subsidiary of South Korea's memory chip manufacturer SK Hynix, world's second largest memory chipmaker. With a total investment of $9 billion, the subsidiary in WND was founded in 2005 and now has grown into one of the biggest foreign-invested enterprises in Jiangsu province. The subsidiary mainly engages in producing 25 nanometer semiconductor wafers. It has enjoyed fast development in production capacity, technology and profitability in recent years, with sales revenue reaching more than $2 billion in 2014. The company now has 3,700 employees, the most outstanding of whom will have the opportunity to get further training in SK’s headquarters in South Korea.